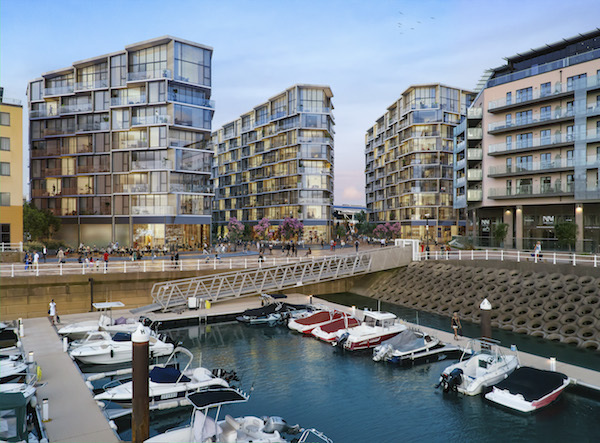 The French group Legendre, with the Jersey Development Company and the SOM architecture firm have been hired to build the marina of Saint-Hélier, on the Jersey island. Named « Horizon », this contract of more than 100 million euros will gather 280 luxury housing (apartments and penthouses) spread out in three buildings, some office spaces, shops, and 200 parking spots. Some preliminary works have begun in July and the marina should be ended in the end of year 2021. This work will strengthen the Legendre group presence in United Kingdom, after the renovation of the Parker Tower building in London.